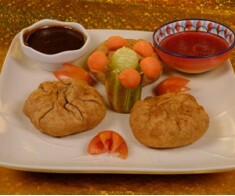 Ingredients for Kachori Flour Wheat flour: ½ kg Salt: to taste Baking powder: 1 teas.. 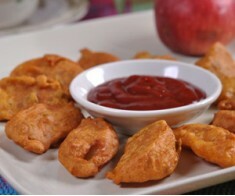 Ingredients Besan: ½ cup Apple: 2 (peeled and cut) Green chilies: 2 or 3 (chopped) G.. 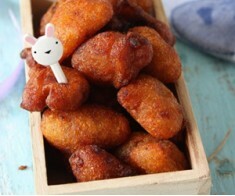 Ingredients Bananas: 300 grams Sugar: 70 grams Flour (Maida): 4 tablespoons Rice flo.. 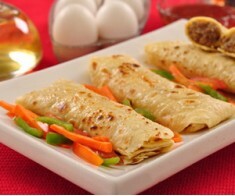 Ingredients Roll strips (Patti): as required Kausar Canola Oil: for frying For filling.. 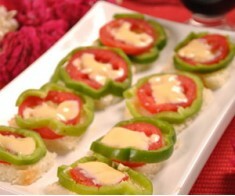 Ingredients Bread Slices: 6 (cut the sides) Tomatoes: 3 (cut slices) Capsicum: 3 (cut .. 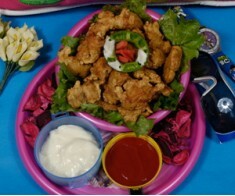 Ingredients Eggs: 4 Water: ¼ cup Salt: ¼ teaspoon Ground black pepper: ¼ teaspoon .. 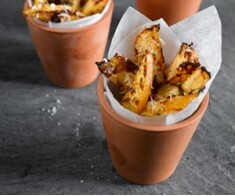 Ingredients Potatoes: ½ kg (cut long pieces) Kausar Canola Oil: 2 tablespoons Thyme: 2.. 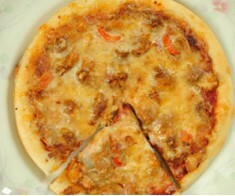 Ingredients Chicken mince: ½ kg Egg: 1 Tikka masala: 1 tablespoon Bread: 1 slice O.. 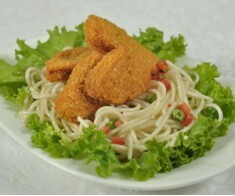 Ingredients Chicken nuggets: 1 packet Noodles: 3 cup (boiled) Peas: ½ cup (boiled) C.. 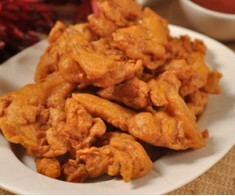 Ingredients Chicken boneless 500g Kausar Canola Oil: 50 gram Red chili powder: 1 teasp.. 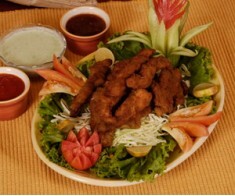 Ingredients Chicken boneless: 250 gram (cut into strips) Soya sauce: ½ teaspoon Vinega.. 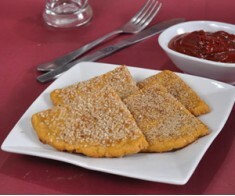 Ingredients Flour: 3 cups Lukewarm water: ½ cup Sugar: 1 teaspoon Salt: 1 tablespoon.. 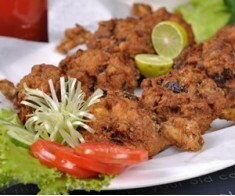 Ingredients Chicken leg pieces: 8 Eggs: 3 Green chilies: 6 (chopped) Onion: 1 cup (c.. 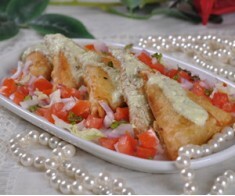 Ingredients Maida/flour: ½ cup Semolina or soojee: ½ cup Salt: ½ teaspoon Kausar Can.. 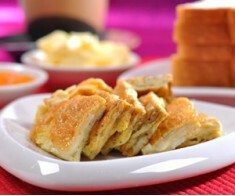 Ingredients Flour: 1 cup Cheddar cheese: ½ cup Margarine: ¼ cup Egg: 1 (whipped) M.. 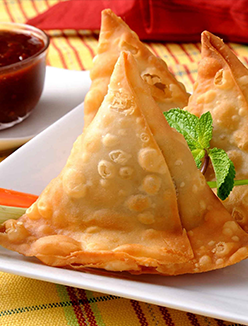 Ingredients Samosa: 4 Tomato: 1 (chopped) Onion: 1 (chopped) Cabbage: ¼ (chopped) .. 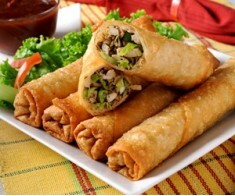 Ingredients Eggs: 2 Milk: 1 cup Water: 1 cup Flour: 2 cup Aginomoto or Chinese Sal.. 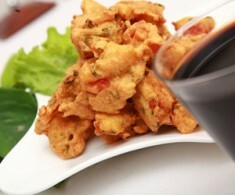 Ingredients Flour: 1 cup Cauliflower: 1 cup (cut) Carrots: 1 cup (sliced) Red capsic..